Long Realty is pleased to welcome Linda M. Johnson and her team, Diana Anderson and Pat Dandino III, to the Long Realty Foothills Office at 4051 E. Sunrise Drive, Suite 101, in Tucson, Arizona. “My team and I have joined forces with Long Realty to create a stronger service base for our clients. We are all looking forward to being a part of Long Realty because they excel in every aspect of the industry, most importantly in customer service. They provide us with the essential resources needed to enable us to offer a more complete and exceptional service to our clients” said Linda M. Johnson. Diana Anderson is a native Tucsonan who brings six years of experience to the team. Linda’s husband and partner, Pat Dandino, III, has over 30 years of experience in the Real Estate industry. He received his first real estate license in 1989, and he and Linda co-owned a real estate and property management company until 1993. After numerous real estate endeavors, both commercial and residential, they moved their licenses to Tucson in 2000, where they have continued their passion for helping people realize their dreams of home ownership. Linda Johnson has been in Residential Real Estate for more than 27 years. She has been an active member of many nationwide realtor groups and most recently she has accepted an invitation to join the Associated Realty of the Americas where she has been honored to meet and work with many other prestigious Real Estate Representatives from all over the world. She has also been the recipient of the Richmond W. Johnson award in 2008 and was honored by Inside Tucson Business as “2008 Woman of Influence”, and featured in Real Trends, Inc “Who’s Who”. She maintains numerous certifications and designations including ERS, GRI, CRS, LTG, RRC, PMN, SRS, SFR and more. For more information about Long Realty, visit www.LongRealty.com. Email Linda M. Johnson at lmj117@comcast.net and visit her website at www.movingtucson.com. 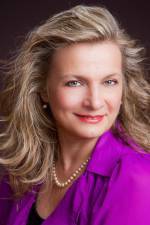 Share the post "Long Realty Welcomes the Linda M. Johnson team to the Foothills Office"